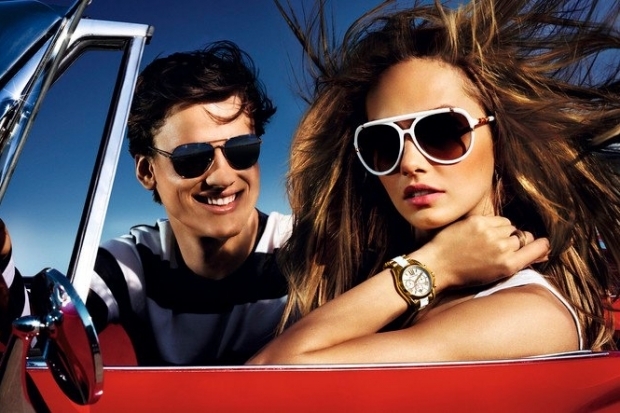 Michael Kors Spring/Summer 2013 Campaign. Looking for hot yet classy combos for the new season? 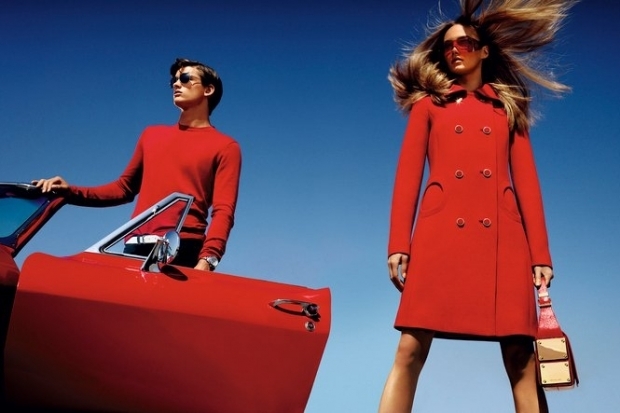 Then be sure to look through the Michael Kors spring/summer 2013 campaign for inspiration. With each new campaign released by the big influencers from the fashion industry, the hottest choices for the new season are starting to become more and more apparent. In the past year, the Michael Kors label has enjoyed a lot of popularity among fashionistas and by what we've seen so far in the Michael Kors pre-fall 2013 collection, things are headed towards a similar direction for a good portion of this year as well. Let's focus on the more current offerings of the label for now as there are plenty of inspirational looks to strive for in the near future. We've gotten used to seeing a variety of interesting combos and a myriad of prints that provide a complex overall look, however, simplicity can be a similarly great option for ensuring an attention grabbing modern look. For those who love a statement but hate having to compromise on versatility, the new options envisioned by Michael Kors can prove a true source of insight. The focus on modern and pragmatic touches is beautifully reflected by striped blouses, simple tank tops or colorful sweaters which instantly become the main focal points of the sophisticated looks rocked by Karmen Pedaru. Instead of placing the focus on eye-popping textural details, contrast is created through fabulous color contrasts and opulent accessories which scream opulence and have an undeniable bold touch. Recommended shades for stealing the spotlight this season? Aside from the functional neutrals which are the starting base of most outfits regardless of the occasion, the label recommends indulging in rich, high impact tones such as gorgeous poppy red, refined green tones or eye-popping yellow. Playing with accessories is the single easiest way to completely change the tone of an outfit as needed. On the classic side of the accessories spectrum we have spectacular sunglasses, practical handbags, simple belts and high end jewelry. For a more modern statement, statement necklaces, studded handbags and stacked bracelets can be just the right ingredients for a fairly low effort style change in the new season. Furthermore, such options can be a practical purchase for more than just a few short months due to their classy and refined allure.